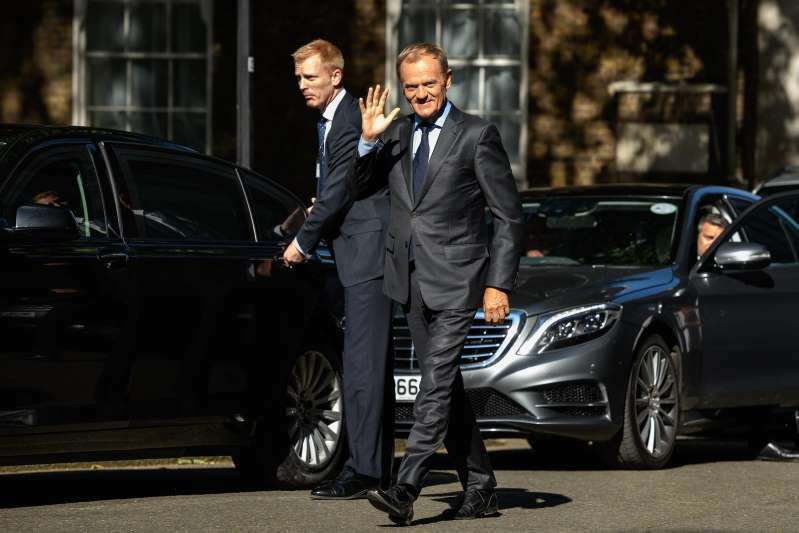 Donald Tusk, the president of the European Council, in London on Monday. 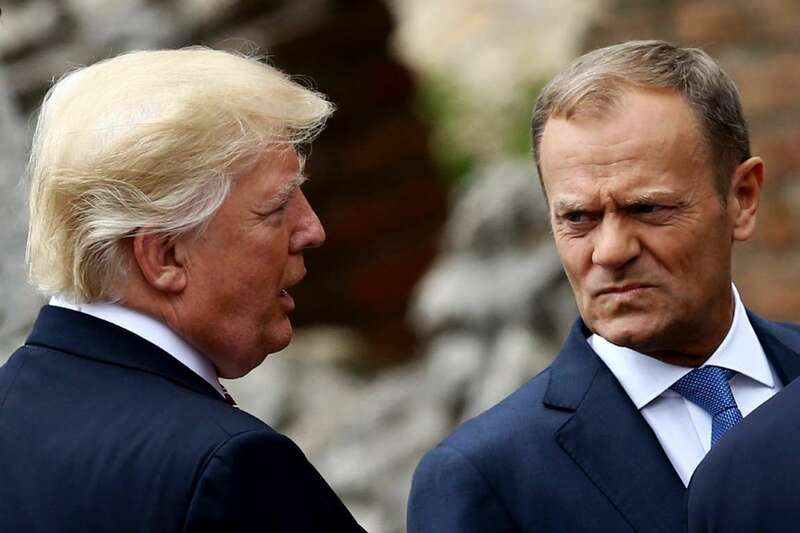 Donald Tusk, the president of the European Council, said on Wednesday that the policies of President Trump had put trans-Atlantic relations “under tremendous pressure” and that Europeans should prepare for darker times. Mr. Tusk, in his letter, took note of a rancorous meeting this month of the Group of 7 industrialized countries, when Mr. Trump mocked European leaders and criticized their trade policies and military spending. “It is my belief that, while hoping for the best, we must be ready to prepare our Union for worst-case scenarios,” Mr. Tusk said. Without calling out the American president by name, Mr. Tusk also criticized Mr. Trump and his immigration policies, using Twitter to denounce those who support “anti-European & anti-liberal” views. European leaders have been openly critical of Mr. Trump at times, and Mr. Tusk’s letter echoed a sentiment he expressed last month, when he scolded the president on Twitter in sarcastic terms. He was not more specific in his letter on Wednesday, which focused on the agenda for the next summit meeting of European leaders, scheduled for Thursday and Friday. Much of their attention will be taken up by a new political crisis over migration and efforts to shore up the backstop for the euro currency. But European leaders whose countries are members of the NATO alliance are also deeply concerned about how Mr. Trump may act during their two-day summit meeting on July 11-12, fearing the consequences of a divisive meeting just days before the president is expected to hold talks with the Russian president, Vladimir V. Putin . This month, citing “national security,” Mr. Trump imposed tariffs on imports of European steel and aluminum. The bloc responded with “rebalancing measures” that hit about $3.25 billion worth of American products, a rough equivalent to the value of the penalties on European steel and aluminum. The European Union is currently preparing similar retaliation should Mr. Trump follow through on his threat to impose significant new tariffs on imported automobiles. For now, migration is the highest priority for the leaders, with Chancellor Angela Merkel of Germany pressed by rivals in her own coalition government to find a way to deal with migrants who register in another country before they try to settle in Germany. That is part of a phenomenon known as secondary or onward migration, made possible by what is essentially border-free travel through much of Europe within what is known as the Schengen area. Although migrant numbers are down, the politics around the issue have propelled populist parties to success across Europe, including in Italy and in Germany, where the Alternative for Germany is the official opposition party. The president of the European Council, Donald Tusk, with President Donald Trump in Taormina, Italy, on May 26, 2017. Alternative for Germany is also pressing Ms. Merkel’s sister party, the Christian Social Union, in state elections in October. They are, in turn, pressing Ms. Merkel for a political answer. Mr. Tusk said in his letter that he wanted the leaders to endorse the establishment of “regional disembarkation platforms outside Europe” for migrants and refugees, a controversial effort to keep people from coming to the Continent before they are screened to see whether they qualify for asylum. He also wants the bloc’s leaders to approve more funding to combat illegal migration in the bloc’s next seven-year budget from 2021, including a major increase in European Union border guards and coast guard. Similarly, he said, the bloc must do more to work with other countries, like Libya, to prevent migrants from making the difficult sea journey to Europe. Part of that effort would involve continuing to pay Turkey to prevent trips by migrants to Greece, and part would be a program of foreign aid to make living conditions better in the home countries of many potential migrants, especially in Africa.